As some of you may know, I’ve recently moved to Portland for a new job. Along with all the usual things that come with a big move, I’ve made another lifestyle change. For the first time as an adult, I’m living car-free. I’m walking or taking transit to work now, which is a pleasant change of pace as to driving everywhere. While I do enjoy strutting my stuff to the office, I don’t enjoy the baggage that comes with it. Literally. Most days I would leave my place with my purse, lunch bag, workout tote, and sometimes my laptop. I was a bag lady and I needed a solution. E. Badu speaks the truth. I tried to consolidate bags but I needed something more official. I went to my Facebook brain trust and came through with a lot of great suggestions – Baggalini, Vera Bradley, Thirty One, Longchamp, – the list was pretty thorough. Leave it to my co-blogger to give me the goods though! 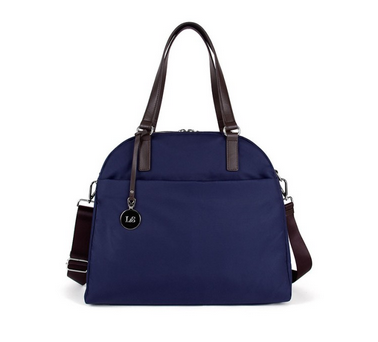 She suggested the OMG (Overnight, Medium Gym) bag from Lo & Sons. It had all the pockets. A separate compartment for shoes! I was sold…ish. A wonderful blend of functionality and style. It checked all my boxes. The only downfall – it’s price tag. As someone who just recently moved cross-country, budget is top of mind. So I tried to find some other bags that fit my needs but didn’t look like a diaper bag. I checked out the Om for All bag from Lululemon and liked a lot of things about it – mainly the mesh pockets and the compartment for shoes but when I saw it in person, it was just a little too bulky gym bag for me. I needed something with a little more professional flair. 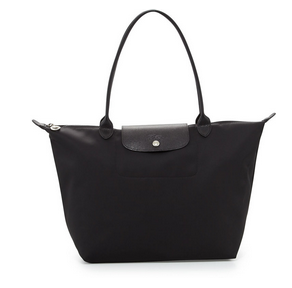 Next on the list, the classic Longchamp nylon bag. These were a staple on campus when I was in college, so I was familiar with what they could hold. Functional – kinda. Sure you can fit everything in there but I’m a sucker for pockets and compartments. 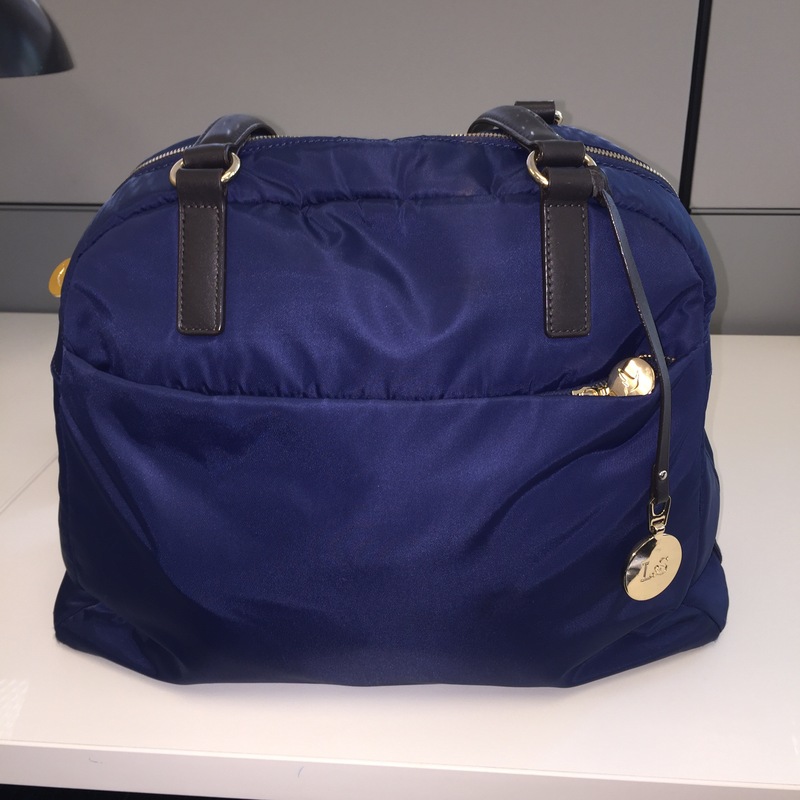 This bag had my lunch, work stuff, and workout gear all together. YOu don’t want your cycle shoes next to your yogurt. It’s just not right! Once I knew there was such a thing as a separate shoe compartment, I knew what i need to do. I found an OMG, new without tags, on sale for almost half price. This was my first eBay auction. I referenced a post Nora did last year on how to make eBay worth it and jumped right in. I made an offer and the seller accepted. If you like the rush of shopping and bargain hunting, eBay is exhilarating. While the OMG isn’t short for ‘oh mah goodness,’ it will make you feel that way! 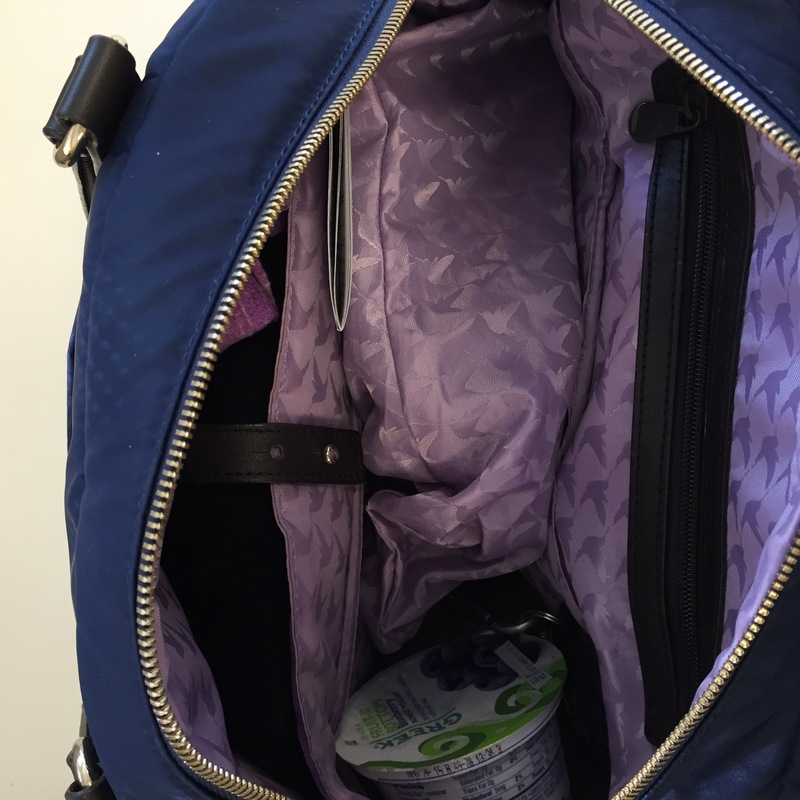 Here is it in action – a pair of tennis shoes, workout clothes, makeup and other doodads to freshen up post-workout for dinner later, a book (not pictured), and my lunch – all reside in harmony in this bag without me feeling like I’m carrying my life around. Now I’m a happy commuter with a bag that fits all of my needs. What bags are adding pep in your step, #TeamPCA? Sound off in the comments. I may need another bag to add to the rotation. Previous Previous post: Short Hair, Don’t Care…But What to Wear?